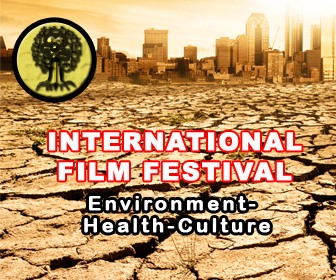 Film festival directors create fair and balanced programs for their festivals. Notwithstanding the quality of the films, a festival with all Black films is not necessarily that interesting as a mainstream festival, but opens up the doorway of opportunity for niche market festivals. As a filmmaker, when I set out to identify the top 10 festivals for Black Filmmakers, I was unable to locate any source identifying that list. Through my own experiences living and working in Los Angeles in the Entertainment industry for over 12 years, I was able to create my own list of the top 10 film festivals for Black Filmmakers. Unable to narrow the list down to 10 of equal or greatest importance, my list actually has 12 festivals on it. Originally dubbed the Acapulco Film Festival, the American Black Film Festival found its way to Los Angeles by way of Miami. Produced by Film Life, Inc., who also produces the Black Movie Awards, the American Black Film Festival is the most sleek Black Film Festival, replete with star studded Black films made independently from the studio system. With an attendance of over 200,000 people for the film and arts festival, PAFF is the largest and one of the most prestigious Black film festivals worldwide. Each year PAFF screens over 150 films from the U.S., Africa, the Caribbean, South America, the South Pacific, Europe and Canada. Run concurrently with the Infotainment Conference, the Hollywood Black Festival is a formidable stop for Black Filmmakers, whereas many agents, distributors and sales agents, specifically looking for Black content, attend it. Once home to its own distribution outlet, the Urbanworld Film Festival still is a choice of studios and independents to debut feature films, network and discover emerging talent. Formerly known as the Noir Film Festival, the San Diego Black Film Festival has grown into a classy event where filmmakers can be treated with class and respect. In existence for over 20 years and produced by the Fountainhead Tanz Theatre in Berlin, the Black International Cinema Film Festival offers Black Filmmakers at -large the opportunity to screen in Europe and build a bridge for distribution in the Pan-African marketplace. Although not hosted by the French government like Festival de Cannes, the Cannes Pan African Film Festival offers Black Filmmakers the Cannes moniker as well as the opportunity to share their work with the European marketplace and make inroads for European distribution. The Urban Film Series is not actually a film festival, but rather a film screening and discussion series. Set in the nations capital, the organization and publicity engine for the Urban Film Series is stellar and will garner your film media attention throughout the nation's capitol. In addition, the Urban Film Series also host film screenings and discussions in other major markets for the Black community. The ADFF screens films from the African Diaspora from all around the world. Like screening in Hollywood, screening in New York is never a bad idea. The New York media serves as a surrogate for the nation's media outlet and the ADFF is successful in getting its films respectable media coverage. One of the largest festivals of its kind in the New England area, the Roxbury Film Festival has been a consistent staple in providing filmmakers of color an opportunity to screen their work and allow their voices to be heard. SFBFF has become a driving force integrating the work of independent Black filmmakers into the mainstream. Several films, which had their premiere at SFBFF, have secured distribution. BFM International Film Festival, sponsored by Black Filmmaker Magazine, is the premiere Black world and urban cinema festival in the United Kingdom. In addition to its premiere event in London, BFM also hosts several mini-festivals throughout the UK. Christopher C. Odom is an Award-Winning Writer, Director, Producer and Author who earned his Master of Fine Arts in Screenwriting from the University of California, Los Angeles. A Member of the Writers Guild of America, west Independent Writer's Caucus, Christopher has won numerous screenwriting and filmmaking awards. His work has been nationally televised and screened in cities worldwide, including Tel Aviv, Berlin and Cannes.